While I was pumping fuel into the truck this evening I did my customary walk around kicking tires and checking lights. It’s a rare occasion when I actually find something wrong. As luck would have it, I found that I had myself an extremely low tire. Actually, it wasn’t flat, it was leaking air. 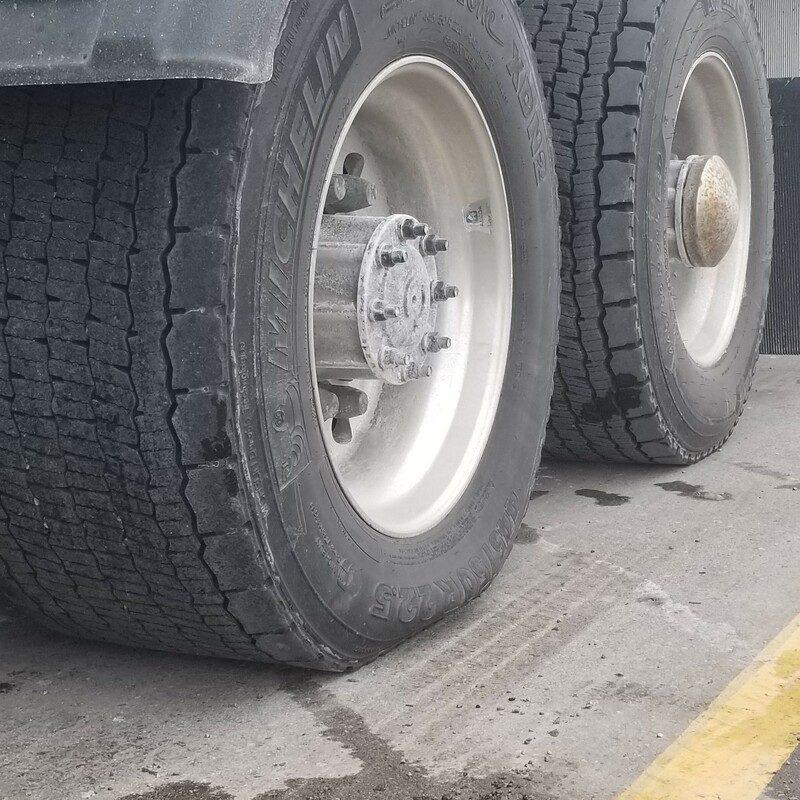 Rather than simply adding air myself, I checked in at the tire shop, at the Love’s Truck Stop where I had just put on fuel, to see if they had time to have a look at this tire. When I walked through the door I found both techs sitting at the desk shootin the breeze so I knew they’d have time. After dropping the trailer in the lot I pulled in and let the guy do his thing. The problem was easily found by the young tire technician. I had a sidewall blowout on a drive tire on the tractor. A sidewall rupture is non repairable so patching is out of the question. Fortunately for me a new replacement tire was available and ready to be mounted. An hour after pulling in the door I was fixed and ready to go again. Total for the replacement was $1249.09 which is exactly why I am a company driver rather than an owner operator. Company vs out of pocket expense.